DJI, the world leader in unmanned aerial vehicle technology, will officially open its Korea flagship store to the public tomorrow starting at 10:00 a.m. In celebration of the opening, there will be a series of activities and performances around Hongdae district throughout the day. Highlights include flight cages in nearby parks, where people can see DJI's latest drones in action. For those who want to play the role of movie director, they can pick up an Osmo (DJI’s stabilized 4K handheld camera) to capture all the excitement and happenings around the neighborhood. The flagship store will also feature the Phantom 4, the newest and most-intelligent consumer quadcopter camera (or “drone”) introduced by DJI just last week. Visitors will have the opportunity to see the Phantom 4 in action for the very first time in Korea. - Hall of Inspire: An immersive visual experience where visitors can sit back, relax and enjoy aerial footage and content from creators around the world. - Customer Experience Zone: DJI pilots will perform demos throughout the day and visitors can learn about the unique features of different products. - Product Showcase: Various display areas that will feature a full range of DJI products, from the newest Phantom 4 to handheld gimbals to aerial platforms for developers and business applications. - After-Sales Support: A dedicated team of customer-support staff will provide technical assistance, help with firmware updates and make reservations for drop-off repair. The store’s exterior and interior were custom-designed to fit with both DJI’s and the Hongdae district’s vibe. The five-story, 870-square-meter flagship store will showcase a full range of DJI’s aerial technologies and camera products including the latest Phantom 4, the full Phantom 3 series, Inspire 1, Spreading Wings, Matrice 100, the Ronin handheld three-axis camera gimbal line, as well as the company’s first integrated stabilized 4K handheld camera, the Osmo. 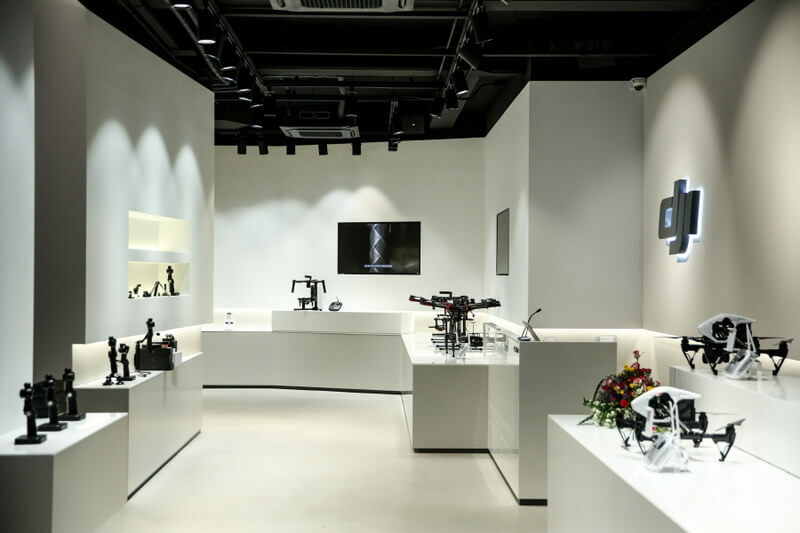 The Seoul store is DJI’s second foray into retail after the December opening of its OCT Harbour shop near the company’s headquarters in Shenzhen, China. 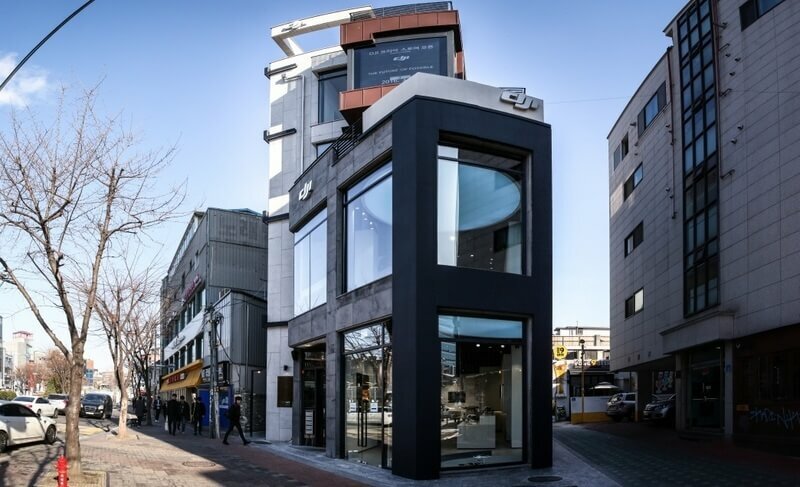 The DJI Korea flagship store is located at Eoulmadang-ro, 140 Mapo-gu, Seoul, Hongdae District, South Korea. Opening hours for the store are Mon – Sun, 10:00 – 22:00 and for after-sales service, Mon – Sat 10:00 – 19:00 (closed on Sunday).